First website, sites of the month, more! Save On Gate Admission At Montana State Fair! July signals the middle of summer. So by now, you’re probably enjoying a comfortable routine of your favorite summer activities. There’s always room for something new, however. For fresh ideas to try this month, take a peek at the Pinterest and Sites of the Month sections below. You’ll find inspiration for July meals, celebrations, vacations, and more. Also in this issue, we share a warning about the practice called “Like Farming” used by spammers on Facebook. Your innocent “Like” could end up being used for less than honorable purposes, so be selective about what you “Like” on Facebook from now on and spread the word with family and friends. Facebook Alert! – Spammers Make Money With "Like Farming"
When scrolling through your Facebook News Feed, chances are you've seen pull-at-the-heartstrings photos with captions such as "Please help! If this 18-month-old girl gets 10,000 'Likes,' her heart transplant is free." A person or group of people create a Facebook page or website with an appeal to "Like" something and shares it among their networks. The people in the creators' networks like and share the page with their own networks, who in turn "Like" and share it. In this way, the post continues to spread. Facebook's automated algorithms notice a lot of activity on the post, so they work even harder to make sure it's seen. The more people see it, the more people "Like" it. And the more people "Like" it, the more people see it. Before long, the post goes viral by the sheer force of its own momentum. The creators illegally sell the Facebook page to a business or advertiser for a hefty sum, and now the new owner can send spam to any user who has "Liked" it. We urge you to be smart and selective about what you "Like" on Facebook so you don't support these underhanded "Like Farming" pages and put dollars in the pockets of spammers. If you've clicked on "Like" for something in the past and now regret it, you can "Unlike" it. Go to your Facebook profile, choose the "More" button, and choose "Likes" from the drop-down menu. Select the one you want to remove, click on the "Like" button that appears, and then select "Unlike" from the drop-down menu. 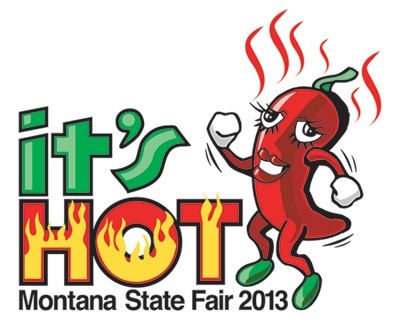 3 Rivers is a proud sponsor of the Montana State Fair in Great Falls. Be sure to visit 3rivers.net for a list of area businesses where you can pick up a $2 off gate admission coupon at the Montana State Fair good for 3 Rivers Day on Monday, July 29th. Tickets are also available in our offices in Fairfield, Browning, Conrad, Shelby and Big Sky. Stop by and visit us at our booth next to the 3 Rivers Stage on 3 Rivers Day and bring your coupon for a free gift! This Month's FAQ – What Did The First Website Look Like? Question: I heard somebody mention that the World Wide Web is now 20 years old. I'm curious — what did the first website look like? Answer: It certainly wasn't much to look at, especially compared with the websites of today. Here's a brief history: On April 30, 1993, a team at CERN (the European Organization for Nuclear Research) first made the technology underlying the World Wide Web available, royalty-free, to anyone who wanted to use it. Their initial website was very basic — just a summary of the product including the development history, instructions for creating your own pages, and technical information about the World Wide Web. But this text-only website laid the groundwork for the estimated 630 million websites that followed in the subsequent 20 years. emergency.cdc.gov – Being informed and prepared is the best way to stay safe during severe weather. Take a few minutes now to review the important information on this site. It covers what to do in the event of a tornado watch or warning, what supplies to have on hand, how to shut off utilities, and more. stay.com – Travel to this site when planning a vacation. You can choose from 120 cities and then create a customized city guide with a map to take with you. Check out hotel, restaurant, and sightseeing recommendations. Plus, sign in with Facebook and see friends who have been to that city. delish.com – July is National Ice Cream Month so it's the perfect excuse to indulge your sweet tooth with a few new ice cream desserts. The delicious recipe assortment here includes Watermelon Bliss, Orange Creamsicle Pie, Grilled Banana Splits, Apple Ginger Ice Cream, and Cheesecake on a Stick. marthastewart.com – You could call this "Summer Central" since it's where Martha Stewart has gathered all kinds of summer recipes, party ideas, crafts and projects, and family activities. From building sand castles to hosting outdoor gatherings, it's one great idea after another. In the city of Tarragona, Spain, castellers gather every two years to see who can build the highest and most intricate human castles. Some are up to 10 layers high! Take a look at the astonishing strength, balance, and courage displayed by these performers. Known as the "Puppeteer to the Stars," Scott Land created this marionette of comedy magician and actor, Carl Ballantine. In this charming video, the puppet performs a stylized version of Mr. Ballantine's original magic act, complete with a disappearing moustache. Most of the time, you're probably happy to share the great ideas you've pinned on Pinterest. But there are certain situations — such as surprise party planning or gift buying — when you might want to keep things under wraps. That's the time to create a Pinterest secret board. When you add pins to secret boards, they won't show up anywhere. This means they won't appear in the categories, search results, your home feed, or your followers' feeds. Pinterest won't even alert another pinner if you repin their content. Scroll down to the bottom of your profile. You will notice that Pinterest automatically gives you three blank secret boards at the bottom of the page titled Create A Secret Board. These can only be seen by you (the board creator) and any contributors you choose to add. Just click on one and begin pinning. Go to the Add tab at the top right-hand corner of your page. Choose the option Create A Board and move the slider button to secret (red) in the settings. NOTE: Pinterest limits you to three secret boards at any one time. If you're using a mobile device, you need to first download the most recent version of Pinterest for iPhone, iPad, Android phone, or Android tablet. Then, go to your profile, click on the Boards tab, and scroll down until you see the option for Create a Secret Board.